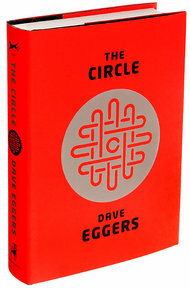 Last month I finished Dave Eggers’ latest novel The Circle, the first work by a bona fide literary light that takes on our relationship with today’s Internet technology and, in particular, our relationship with corporations like Google. It took me a while to start The Circle, mainly because of its poor word of mouth. Most of the folks I know who mentioned it, did so in an unfavorable light. “Eggers doesn’t get our industry,” was one theme of the commentary. “He did zero research, and was proud of it!” was another. I wanted to let some time go by before I dove in, if only to let the criticism ebb a bit. It struck me that it’s not a novelist’s job to get an industry *right*, per se, but to tell a story and compel us to think about its consequences in way that might change us a little bit. I wanted to be open to that magic that happens with a great book, and not read it with too much bias. Once I began, I found the novel engaging and worthy, but in the end, not wholly fulfilling. I found myself wishing Eggers would reveal something new about our relationship to technology and to companies like Google, Facebook, Apple – but in that department the book felt predictable and often overdone.